Freedom didn’t show any reaction to hoof testers, suggesting it isn’t an abscess. Or, if it is one, it’s not close enough to the surface. He had no bruising, which also suggests it’s something different. Freedom is still lame. Not when I first get on him. I get about 20 minutes of happy horse. He will pick up both canter leads, trot in both directions and willingly hop over a small fence. Then it starts to disintegrate. The first sign is that he won’t hold his left lead canter for more than a few strides. Then he decides he doesn’t want to pick it up at all. He tosses his head and flings his front legs. Given that this was the same pattern as the hunter pace, we stopped there and went for a walk. He enjoyed that. 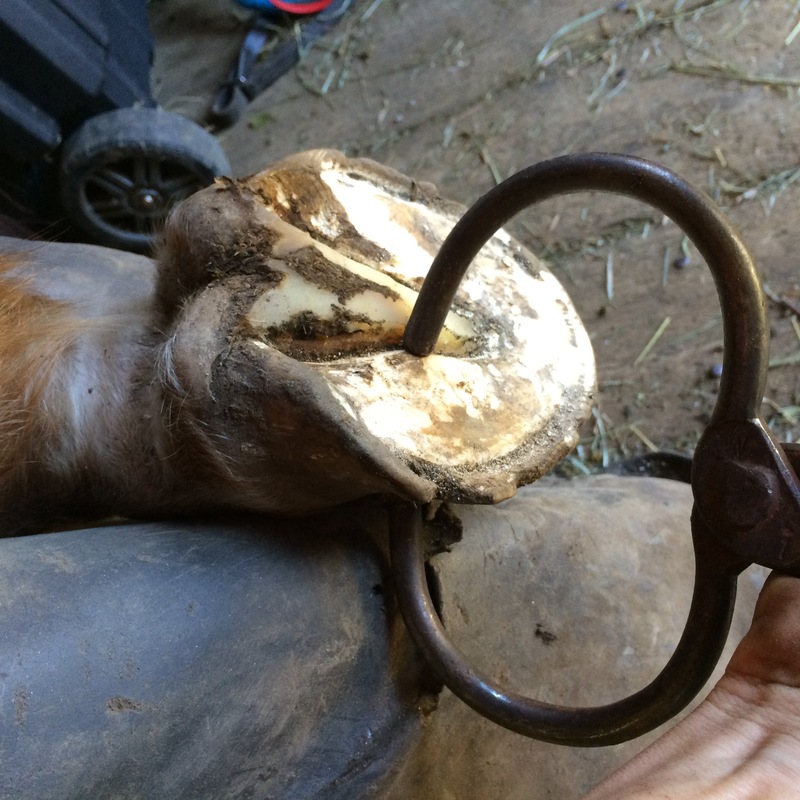 After confirming the pattern, I had my farrier check his feet. Freedom is a horse that’s prone to abscesses and we’ve had a long dry summer with rock hard footing. She found no bruising and no particular sensitivity. There’s a little bit too much motion in his sole, so maybe there is something brewing there, but she didn’t want to go looking for something. Now the vet is coming Thursday and we’ll see what happens. At least with digital x-rays I might have an answer soon. Good Luck! I hope it is easy to find and quick to heal.